½ Price Range Fees! Mark your calendar so you don’t forget. All 7.62×39, .223, and 5.56 ammunition must be purchased in house. No outside ammo in these calibers allowed on range. Only our ammo allowed with all gun rentals. All 7.62×39, .223, and 5.56 ammunition must be purchased in house. No outside ammo in these calibers allowed on range. All prices are for factory loaded unfired brass, FMJ ammo with no steel in any component. Range fees are reduced $5.00 per person when ammunition is bought in house. 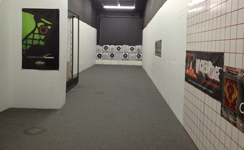 Gator Guns & Archery Center offers a 20 yard, indoor archery lane. Bow rental is available. We also offer discounts to Active duty military personnel, Active duty police personnel and Gator Gun Members (more information below). 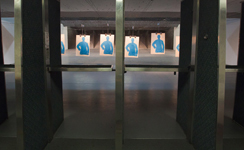 Educational courses are available.Active duty military personnel shoot free with ammo purchase (proof of ID required). Active duty police personnel receive 50% discount on range fees (proof of ID required). Gator Guns & Archery Center offers two annual membership plans. You receive 10% discount on all purchases (excluding consignment items) and 50% discount on all range time.